What is the typical working day like at Westville? Westville House School opens its doors to receive children from 07:45 and remains open until 18:00. The school day runs from 08:15 to 15:30 or 16:00 dependent upon the child’s year group. There are six curriculum focussed lessons in an average day, with four lessons in the morning and two in the afternoon. Activity, music and sports clubs run at lunchtimes and from 16:00 in the afternoon for those wishing to take part. Who is the Westville House School Head? The school’s mission is to: deliver educational excellence that maximises the potential of every child; promote a family ethos and values; and nurture well-rounded and happy children prepared for life beyond Westville. Is Westville a co-education school and what are the benefits? Westville House is a co-educational school. Sending your child to a school with boys and girls will encourage their self-esteem, social skills and better prepare them for a diverse world where both genders play important roles. Children are taught to respect each other and embrace diversity. Class sizes vary by year but currently range from eight to fourteen. A separate class is formed for numbers above sixteen. Westville offers a broad and exciting curriculum encompassing all National Curriculum subjects. The programme is significantly enriched to broaden a pupil’s understanding and foster a life-long interest in learning. Does Westville offer specialist teaching in any areas? Westville is proud of its academic record and offers specialist teaching in Maths, English, Verbal Reasoning (VR) and Non Verbal Reasoning (NVR). This is enhanced by Science, Art, Music, French, Drama and Games. What school do Westville children go on to attend? Westville House School has a long-established record of securing entry to the secondary schools of choice from local independent schools to selective Grammar schools and the State sector. In form 3 the school hosts an evening for parents to outline options available. The school will subsequently gear individual teaching to support exam preparation for the schools of choice. What sports does Westville offer? Our main team games are rugby and netball in the autumn term, soccer and hockey in the spring term, cricket and rounders in the summer term. Swimming runs throughout the year. Everyone participates in games and there are numerous clubs available to provide additional training from running to basketball and skiing. Can my child pursue special interests at Westville? Westville offers numerous clubs to cater for most interests. We will happily make reasonable adjustments to support the needs of an special sporting, academic or artistic talent, providing that there is no disruption to their education or to that of others. Can my child play an instrument? All of our pupils are encouraged to learn an instrument. Tuition is offered for most instruments and where necessary is provided by externally qualified instructors. What trips does the School offer? Classes from Pre Prep and Prep make frequent forays into the Yorkshire countryside and to cities like Leeds and Yorks to enhance their classroom learning. Study visits, cultural trips and sports tours further afield occur regularly. For our children in the Prep department the annual Skiing trip is highly anticipated and much enjoyed. Do Westville play an active role in the community? Westville engages purposefully in the community through the Brown Community Award and numerous community hosted events and clubs. Our children learn to be altruistic and are encouraged to identify and tackle local challenges to improve the lives of others. Who takes care of the Children and their pastoral needs at Westville? Westville prides itself on its friendly and happy environment. This is created by our dedicated staff team, all of whom can provide a ‘listening ear’ for the children, however, the form teacher takes a lead in ensuring a child’s pastoral needs are met. Our safeguarding leads on the Board of Governors and staff works closely with external agencies to support our children. The Board’s Safeguarding Committee coordinates all aspects of the pastoral support structure. How does Westville help new children to settle in? Most new children are encouraged to attend taster days before they start the full school programme. Once a new child arrives, he/she is appointed a school mentor from within the class to help them integrate. Parents also play a pivotal role in helping their child to settle and are encouraged to visit. Who can my child speak to if they have a problem? The form teacher is the first point of contact but children can turn to any of our members of staff to confide in them. The Safeguarding Committee monitors individual concerns, as appropriate. The school has a sick room and First Aid trained staff. Parents or a guardian will be informed if a child falls ill or is injured during school time. If a child is ill, he/she will be sent home with a parent or guardian. What is Westville’s policy on bullying? What is Westville’s policy on the use of IT and mobile phones? All children are taught about the appropriate use of IT (including social media), understand their ICT rights and responsibilities. The use of mobile phones is not permitted on site aside from official school mobiles. The children are strongly discouraged to bring their own IT, games consoles or mobile phones to school, or on external trips. What are Westville’s admission points? No one year acts as a standard admission point. We welcome all new admissions be they in early years at Westville Woodlands or Westville House Pre Prep and Prep. What is the difference between Westville House and Westville Woodlands? The main Westville building houses the Westville House School’s Pre-Preparatory (Pre Prep) and Preparatory (Prep) years and provides an enriched education for children aged 5 to 11. 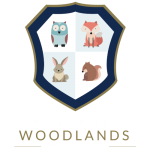 Westville Woodlands is a new, purpose built early years unit attached to the original Westville House School. Woodlands provides separate, tailored facilities for children aged 2 to 4 years. Is Westville right for my child? We strongly believe in a Westville education but the choice of school is always a significant and personal decision. Only by visiting Westville or by arranging a taster day will you and your child get a feel for school, its family friendly atmosphere and strong academic offer. Westville was established as a co-educational school and strongly believes in the benefits of girls and boys working, socialising and growing together. What provision does Westville make for disabled children? An applicant with a disability who wishes to attend Westville should discuss with the School reasonable adjustments that would enable him/her to attend. Click here for the fees page. Fees are reviewed annually. Does Westville offer a bursary and can I apply? Westville offers a limited bursary scheme. Click here to download an application form. We strongly recommend that applicants and their families visit the school. Visits can be arranged during school hours at a time to suit parents. Please complete and send a Visits Application Form. For those wishing to gain an insight into the school, Westville also holds two Open-Days annually and hosts numerous community events. How should we prepare to start at Westville? Children preparing to join Westville are invited to taster days in advance of their full entry date. During these taster days the parents will receive all the relevant information, including that about uniform and equipment.